How can I un-assign/remove a policy from a user? /BigMIND /Policies /How can I un-assign/remove a policy from a user? Select the Users option from the left side menu. 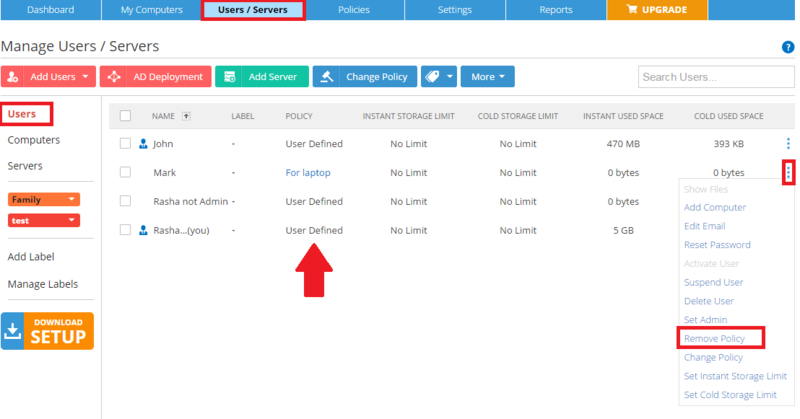 A list of your added users will be shown, and you can see if a policy is assigned for each user or not by noticing the POLICY column for each user. Click the Actions icon for the user you wish to remove the policy assigned to him/her → Select the Remove Policy option. 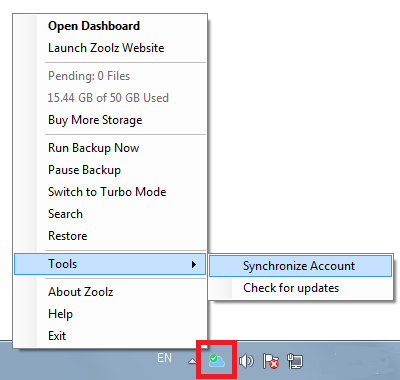 On the computer where Zoolz software is installed, wait for 15 minutes for Zoolz to take the new changes so the user can edit his/her Data Selections and Settings from there, or force the immediate synchronization, by right-clicking Zoolz agent (icon) in the system tray (Taskbar) → Tools → Synchronize Account. 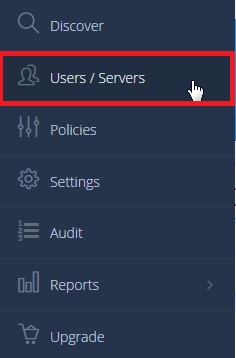 From the left side menu of the Manage Users/Servers page, click the Users option. A list of the users added under your BigMIND account will be shown. Click the Actions icon ( ) for the user you wish to remove the policy assigned to him/her → Select the Remove Policy option. 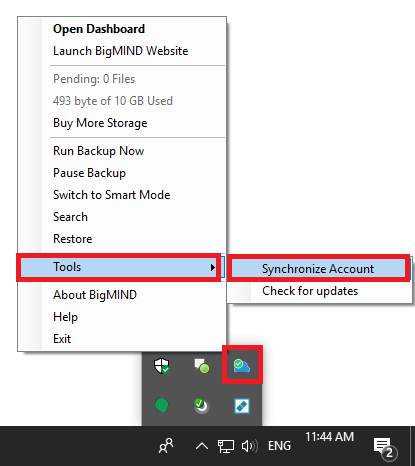 On the computer where BigMIND software is installed, wait for 15 minutes for BigMIND to take the new changes so the user can edit his/her Data Selections and Settings from there, or force the immediate synchronization, by right-clicking BigMIND agent (icon) in the system tray (Taskbar) → Tools → Synchronize Account.